Are you looking for bright, motivated potential new employees? Do you have children who a re juniors or seniors in college who are looking for a meaningful summer internship . . . and hopefully a job some day? Do you want to help HRACRE fight the brain drain and attract top notch college grads to our region and to the commercial real estate industry? If your answer to any of these questions is “Yes” – READ ON! HRACRE’s Intern Program is now in its 13th year and will run for six weeks from June 3-July 12, 2019. We start by soliciting and collecting applications from students at over two dozen colleges and universities. Participating HRACRE member employers either select an intern from our pool of applicants or enroll individuals from their own internship programs. 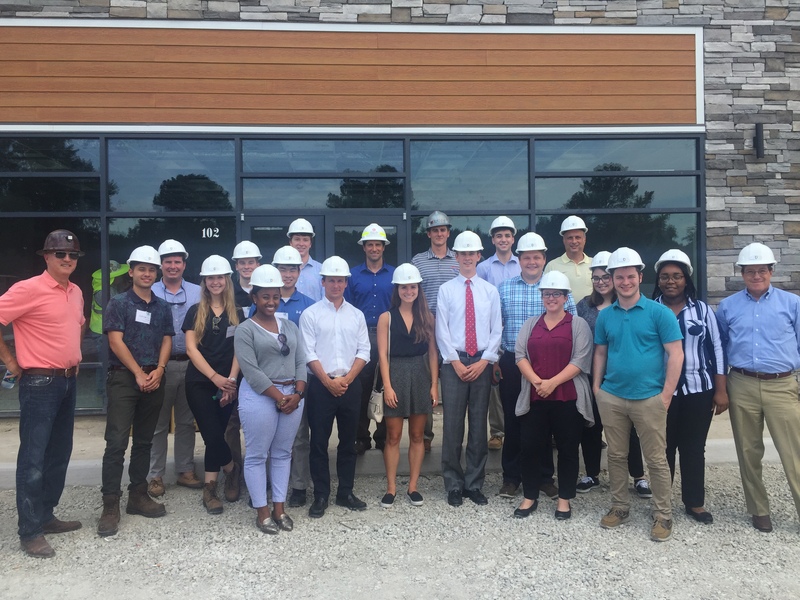 Interns participate in two lunch or breakfast programs each week that are designed to give them an overview of commercial real estate and of all the career tracks encompassed in CRE. Interns also attend an HRACRE Membership Luncheon and a final program luncheon where top performers are recognized based on attendance, participation and a brief essay. Participation in the program is free of any charge to participating employers and interns. We have attached a brochure which describes the program in greater detail. If you are interested in participating as an employer, please complete the 2019 Employer Participation Form (application process closed) and someone from the HRACRE Internship Committee will contact you. We consistently have many more intern applications than available spots so we always need more employers. If you know a college junior or senior that might benefit from the program, just send them to the HRACRE website where they can find Additional Information and Apply Online (application process closed). If you agree that this is a wonderful opportunity for our next gen professionals and want to help underwrite the program or would like additional information contact Skip Sacks at ssacks@stewart.com or 757-424-4400 – no contribution is too small to make a difference.